China has 575 million game users, is home to the world’s largest gaming company, and has a gaming market that has doubled in revenue in five years. But New Zealand has a way to go when it comes to engagement with China’s video game industry, says Auckland illustrator and indie game developer Allan Xia, who is helping bridge the gap between the gaming sectors. 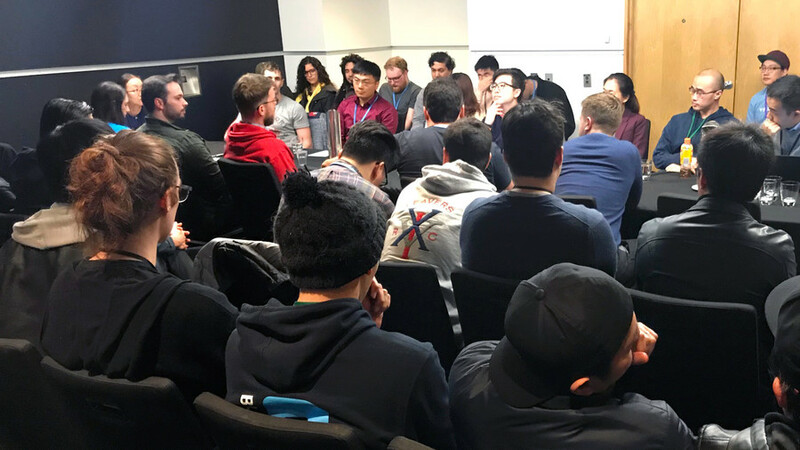 In August, Xia collaborated with NZTE to host a Chinese delegation at the New Zealand Game Developers Conference (NZGDC18). The visitors comprised a delegation from the gaming department of Chinese tech giant Tencent – now the world’s largest gaming company – as well as Jade Jiang (director Nexus, a Chinese game community hub and incubator) and Zifei Wu (founder of Pathea Games, developer of the Chinese indie hit My Time At Portia). The visitors’ programme saw them presenting at the conference, participating in a roundtable with New Zealand industry players, and visiting New Zealand game developers. Tencent is Asia’s first company to pass the US$500 billion (NZ$744 billion) market cap. But despite its scale, it wasn’t hard to get the company to agree to meetings with small Kiwi developers, Xia says. “We’re in somewhat of a honeymoon phase – there is a real synergy between the need for diverse new content and innovation in China and creativity from New Zealand developers. New Zealand Trade Commissioner to Guangzhou Richard Dunsheath says NZTE partnered with Xia on the visit because of his collaborative approach. China’s gaming market is growing rapidly and has doubled in size since 2013, Dunsheath says. According to a survey of New Zealand Game Developers Association studios, developers earned a record $143 million in the financial year ended 31 March. 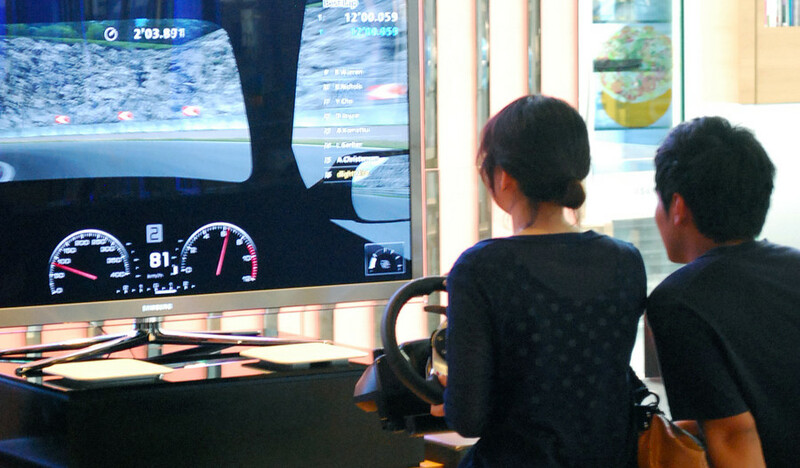 Xia says awareness of the rapid growth and evolution of China’s games industry and market remains low. He has been surprised by the number of people who don’t recognise Tencent’s name – particularly when the company bought a controlling stake in Auckland’s Grinding Gear Games in May. Xia led his first “art tour” to China last year, organising a pavilion representing five Kiwi game companies at the WePlay Games Expo in Shanghai. He also led a team of multi-disciplinary Kiwi creatives to the Chengdu Creativity and Design Week. Xia’s background (he was born in Sichuan, China) means he can read Chinese-language reviews of games on Steam, which often feature requests from Chinese users for localisation support. Wellington’s Peter Curry, one of the developers of strategy simulation game Mini Metro, was the only developer who travelled to China with Xia. The market is also changing quickly. Console games were only legalised in 2015, having been banned in 2000, and mobile and PC games continue to dominate the market. The past couple of years have seen a proliferation of platforms and rapid growth in users, with players hungry for new experiences. My Time At Portia is one example, Xia says. The best-selling Chinese indie game of 2018 (300,000 copies sold globally; 140,000 in China) is part of a new trend in which China can drive global sales. But Xia warns the sweet spot might not last long. In the past, video games released on Steam were not subject to the same ratings and approval processes as the Chinese film industry. The government have already begun tightening regulation, he says. Games on Tencent’s new games distribution platform, WeGame, are subject to regulation. Xia has his own company, Kognika, and is the founder of Auckland biennial indie arts festival Chromacon, which aims to connect New Zealand artists, illustrators and designers with the wider public – showcasing their original creations and innovative ideas. He himself is working on a commercial version of a game he developed for an exhibition at Auckland Museum last year, working with writer Renee Liang. 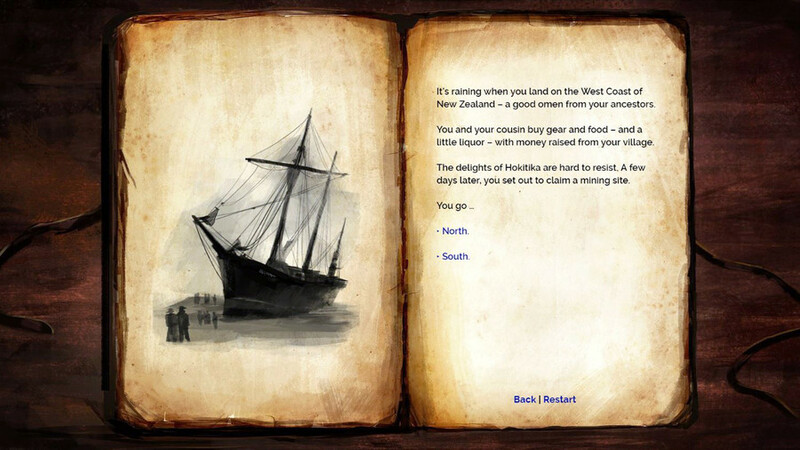 Golden Threads, a “choose your own adventure” interactive experience, explores 175 years of Chinese immigration to New Zealand. The stories in Golden Threads are inspired by real historical figures and events. He’s found Chinese companies are interested in the project – and with the support of New Zealand Film Commission funding, he’s now working to expand the “edutainment” game’s storyline to include other countries that have a history of Chinese immigration. Xia plans to head back to China in November for another “Chroma Art Tour” and is working towards establishing partnerships with Chinese organisations to allow for ongoing exchanges. The programme will include showcasing New Zealand developers at the WePlay Games Expo and attending the CiGA development conference in Shanghai, and visiting studios, developers and publishers in other Chinese cities. China’s gaming industry and market is at a critical stage with big changes and exciting new opportunities, Xia says. He sees a need for Kiwi developers to maintain contact regularly to cross-pollinate ideas and build long-terms strategies. This piece was originally published by The Asia Media Centre.